With the media industry in a constant state of evolution, the ability to grow and adapt to the digital age is more important than ever for communications and PR (Public Relations) professionals. The same can be said for PR SaaS (Software as a Service) businesses like Agility PR Solutions. Having started out in 2003 offering turnkey media monitoring services under the name MediaMiser, Agility PR Solutions has evolved its offerings over the last four years to include a broad portfolio of cloud-based media database, monitoring, reporting and analytics solutions that are used by thousands of public relations and communications professionals around the world. “What we help them do is find and connect with journalists, listen and see who is talking about them—their industry and their competitors—and then help them measure the impact of what they’re doing,” explains Dawn Smeaton, Director of Marketing for Agility PR Solutions. Agility PR Solutions’ main focus is its media monitoring software which gives users the ability to examine media coverage of their brand, industry, and competitors, track images associated with their organization with an AI-powered image search, create PR reports, and connect with media influencers through their global media database of over 820,000 contacts. They also offer a turnkey monitoring service that does the work for its customers by creating daily briefs and providing human-curated coverage reports. The worldwide operations of Agility PR Solutions grew rapidly after being acquired by the global services and technology solutions company Innodata Inc. in 2014. 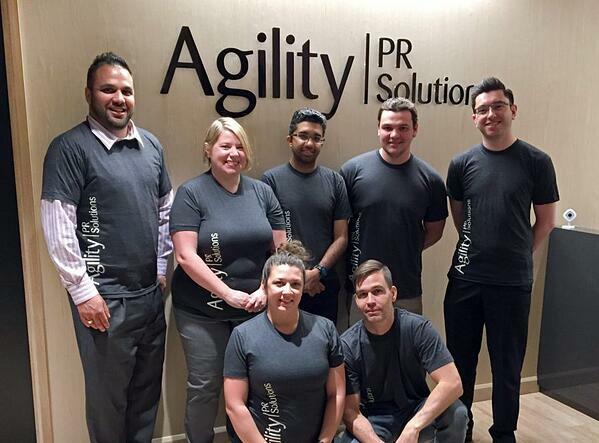 Two years later, in 2016, the company formally re-branded as Agility PR Solutions after purchasing a suite of public relations tools called Agility from PR Newswire. The acquisitions created massive growth for Agility PR Solutions in a relatively short period of time, with their client base growing tenfold and expanding geographically as well. Following the acquisitions, the company now has offices in the U.S., Canada, and the U.K.
Due to their client base increasing so rapidly, Agility PR Solutions’ annual invoice volume also snowballed from thousands to the tens of thousands rather quickly. As you can imagine, such a massive increase in customers and invoices being issued can create challenges for any SaaS company, particularly when it comes to the accounting process. According to Agility PR Solutions’ Business Analyst Mark Zurawski, the company had been using just a standard accounting software up until this point, which made generating invoices and collecting payments a challenge as the company expanded. It was around this time that the company began looking into subscription management platforms to streamline and automate their recurring billing process. One of Agility PR Solutions’ main considerations for switching to an automated recurring billing platform was their inability to process credit card payments. “Some of our customers were having trouble with the prior method of invoicing and payments where the payment methods were cheque, EFT, Direct Debit, etc. At times it was difficult to get these payment methods setup with the customers and then reconciling the payments to invoices. It wasn’t always a seamless process, especially in the UK,” Mark explains. Another important factor for Agility PR Solutions was the ability to integrate their recurring billing system with the CRM (Customer Relationship Management) platform Salesforce. 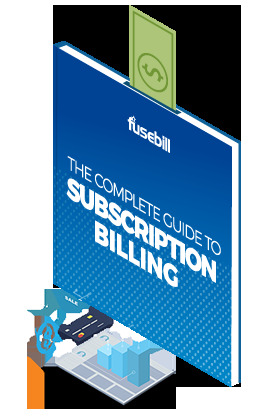 When it came to selecting a recurring billing platform, Agility PR Solutions chose Fusebill and began the implementation process in January 2018, going live by April of that same year. Since Agility PR Solutions started using Fusebill, one of the most significant benefits they have seen is the ability to make payments by credit card directly through the Fusebill system. He says this has shortened the collections period significantly and saves the billing team several hours a week. The fact that Fusebill allowed Agility PR Solutions to set up three different payment gateways for their three location-based customer entities—U.S., U.K., and Canada—to accept card payments has also made the payment process much simpler for the finance department along with their customers. “It’s definitely facilitated the process and we’ve definitely seen a lot of customers happier with the process. It’s just so much easier for them and easier for us,” Mark says. Another positive outcome for Agility PR Solutions is the fact that the Fusebill-to-Salesforce integration was able to push important data into their Salesforce CRM. Note: The latest version of Fusebill’s Salesforce integration (available 2019) includes the ability to generate quotes and contracts. For Agility PR Solutions, automated billing also means they can stay on top of their customers and manage them much more efficiently because the Fusebill system will flag customers that are either in good standing or not and automatically send out past due notices and statements. This function has helped them manage big volumes of customers without any manual intervention. From a productivity standpoint, the self-service portal that Fusebill provides has also saved Agility PR Solutions’ billing team time and effort because it allows customers to see their invoices and make payments without ever having to contact the company for this information. Now armed with the proper recurring billing tools, Agility PR Solutions is looking forward to the future as they continue to expand their operations worldwide. Content Marketing Specialist, Fusebill. Nicole is a former journalist with experience writing about a wide range of topics for a variety of publications including the Globe and Mail, CBC, and several community newspapers.